Heart disease refers to several different types of heart conditions. The most common type of heart disease is coronary artery disease, which occurs when the coronary arteries become narrowed or blocked and can cause chest pain, heart attack or stroke. Additional heart conditions involve the heart valves, muscle or rhythm. Check out the following tips to lower your risk for heart disease. Choose foods lower in saturated fat, trans fat, sodium and sugar. Select lean beef (e.g. round, sirloin, chuck, loin), lean or extra lean ground beef (no more than 15% fat), lean ham and lean pork (e.g. tenderloin, loin chop). Choose lower-sodium options by using the Nutrition Facts label to compare the amount of sodium in ham, processed sandwich meats (e.g. turkey, chicken or ham), canned foods, soup, bread and frozen meals. Drink water instead of sugar-sweetened beverages (e.g. regular soft drinks, energy or sports drinks, fruit drinks or sweetened coffee and tea). Pick fruit as a naturally sweet dessert or snack most of the time instead of eating cookies, cakes, pies and ice cream. Try the Angel Food Pastry with Fresh Berries and Whipped Cream (see recipe in this e-newsletter) for a quick and healthier dessert option. 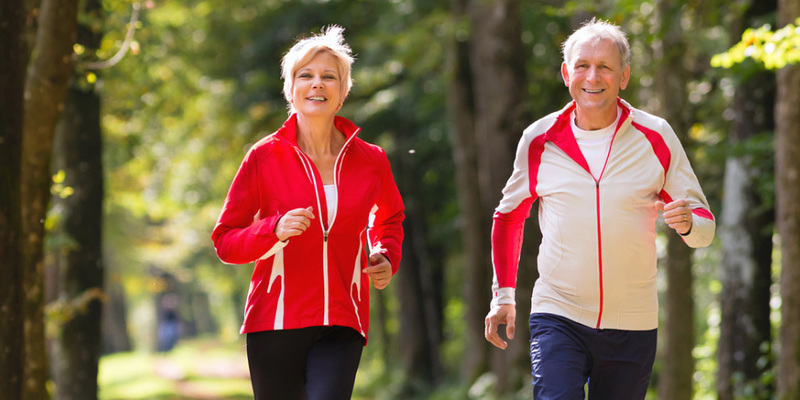 One of the most effective forms of exercise to achieve heart health is walking. Walking does not require any special skills. It is safe, free, requires no equipment and costs nothing to get started. The Physical Activity Guidelines for Americans recommend at least 150 minutes per week of moderate physical activity for adults. One way to achieve 150 minutes per week is to do 30 minutes of brisk walking (at least 2.5 miles per hour) for 5 days of the week. If you are short on time, break up your brisk walks into shorter sessions. If you are just starting to get active, don’t worry about reaching 150 minutes per week just yet. Set a reachable goal and work up toward the recommended amount. Just remember to move more and sit less during the day. If you have a chronic condition or disability, talk with your healthcare provider about what types and amounts of physical activity are right for you before making too many changes. • The American Heart Association’s Diet and Lifestyle Recommendations. American Heart Association.